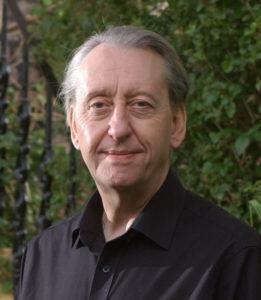 Bryan Talbot was elected as a Fellow of the Royal Society of Literature in 2018. Bryan Talbot has been a master of the comic art form for 40 years. He has produced underground and alternative comics, notably Brainstorm!, and science fiction and superhero stories such as Judge Dredd. He has worked on DC Vertigo titles, including Hellblazer, Sandman (with Neil Gaiman), The Dreaming and Fables, and has written and drawn the graphic novels for which he is best known, including the first British graphic novel, The Adventures of Luther Arkwright. Dotter of Her Father’s Eyes, the first graphic novel he produced with his wife, Mary M. Talbot, was the winner of the 2012 Costa Biography Award.